Greenheck SP-B110-QD Ceiling Exhaust Fan 115v 110 CFM @ .125"
Bathroom Exhaust Fan, Low Profile, Model SP-B110, 115V, 1PH, 50-133 CFM. 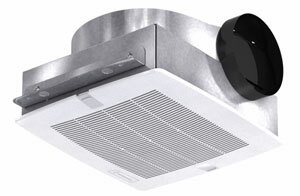 Low profile bathroom exhaust fan, features a forward-curved wheel for low sound and high efficiency. Units are ideal for residential, multi-family or hotel applications. All Greenheck fans are shipped Factory Direct under the Quick Delivery Program from the four corners of the Continental US. Typical delivery time is 1-2 days no matter where you are in the Lower 48. 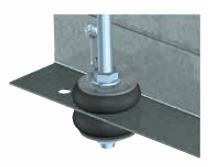 Greenheck Quick Delivery Fans are shipped directly by the manufacturer to your home or business. Due to this arrangement returns for miss ordered items are not guaranteed to be returned. Depending on the circumstances we will contact the manufacturer and do our best to facilitate a return strategy that typically will have restocking charges by the manufacturer and shipping expenses back to the distribution center. Please be sure of your quantity and fan selection before executing your original order.